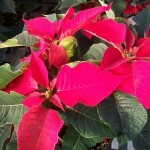 SKC partners with Common Market for poinsettia sales | Scott Key Center, Inc. 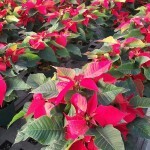 This holiday season SKC has partnered with Frederick’s Common Market to sell our greenhouse-raised (and stunningly beautiful) poinsettias. The grocery store, known for its positive community involvement, will be selling the plants for $7.50/ea. For a number of years, Sarah Lebherz, the store’s general manager, has had a familiarity with with the mailing services at SKC. After learning about the garden center/greenhouse sales, she contacted SKC and ordered 100 of the plants to sell at the market. From the initial contact, she was adamant about the sale proceeds going to support the programs and services provided at SKC. The Scott Key Center looks forward to continued success with the Common Market for many years to come.